If you are following the latest news, you have probably seen that the real estate deals in Buenos Aires and Argentina are on the rise. This is quite natural because the economy is stabilizing and people have realized that real estate investments are smart investments. As a result of this, the interest in real estate attorney Argentina solutions has increased too. Of course, the work of these professionals is not related to the latest trends in the real estate market. Real estate deals are made all the time and there are also other situations where different real estate Argentina options can help you. We will use this article to highlight some of these situations. These kinds of disputes are especially numerous in big cities like Buenos Aires and this is the reason why both tenants and landlords are looking for reliable real estate lawyer Buenos Aires options. The best among them can help both sides to resolve their tenancy disputes. This is another situation where a professional real estate attorney in Argentina can be useful. It is their job to support the resolution of property disputes with the help of litigation or other means. Thanks to them, it is possible to sell disputed real estate. In this way, the money that was obtained from the property can be used for a settlement between the parties involved. This is a fair solution that contributed to peaceful solutions of seemingly unsolvable real estate disputes. When a person dies, the properties they had are often managed by real estate lawyers in Argentina. Whenever they are appointed, they will do their best to sell the property or properties at the best price. After that, they will use that amount of money to settle the accounts of the heirs. No matter how close the heirs are, it is always a smart idea to leave a neutral professional to take care of this job. According to the latest statistics, the number of divorces in Argentina has reached a record high level. The divorce rate is especially high in Buenos Aires the largest urban area in Argentina. Those going through a process of divorce should consider hiring a real estate lawyer Buenos Aires because they can help people with property disputes that come as a result of divorce. These are complex cases because the ownership is shared. 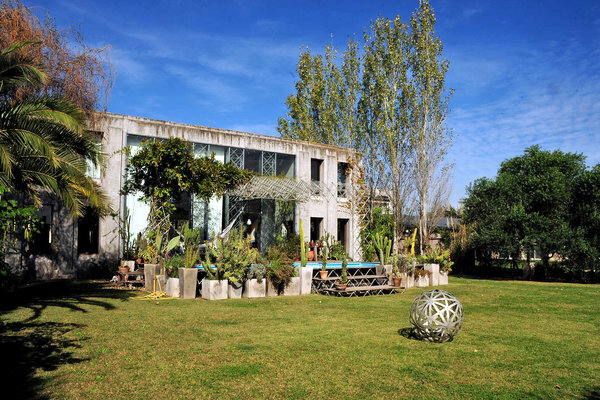 Real estate attorneys in Argentina are often hired by real estate investors both domestic and foreign. This is logical because they have access to information and data that no one else has – properties that are disputed or in a process of settlement. There is no doubt that investors can benefit from information like this. These are just some of the reasons why hiring a good real estate lawyer in Buenos Aires or anywhere in Argentina is important. This entry was posted in Real Estate on October 19, 2017 by Elias Kier Joffe.